Is it Tuesday or Friday and you feel adventurous? If you tick „yes“, go to the Turkish market for some calorie and culture infusion. 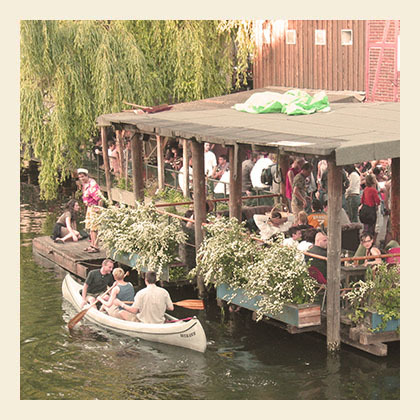 The market is located on a beautiful canal on the border between Kreuzberg and Neukölln, the multi cultural centre of Berlin. I do recommend the gözleme from the big stand with tables in front– it’s hands down the best gözleme in Berlin. No really, it is.